High fuel prices? At space gas station, you bet! 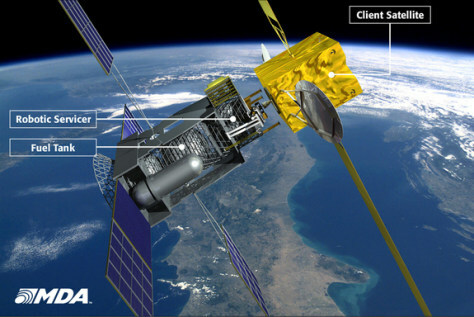 An artist's conception of how the SIS mobile space gas station will refuel client satellites in orbit.